Attorney Jonathan D. Wald and the Law Office of Jonathan D. Wald, P.A., represents clients involved in Marital and Family Law disputes including divorce, child custody and timesharing, asset valuation/division, modification proceedings, domestic violence and all related Marital and Family Law issues. We also provide representation in matters of Criminal Defense and Estate Planning (wills, trusts, healthcare directives, powers of attorney, etc.). 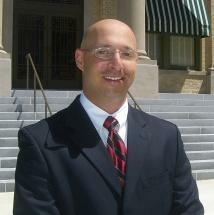 Mr. Wald has more than 12 years of experience as a litigation and trial attorney. The primary focus at The Law Office of Jonathan D. Wald, P.A. is to provide clients with the personal service and attention that they deserve, while offering the most compassionate and aggressive yet affordable representation available. In addition to his 12 years of litigation and trial experience, Mr. Wald is a Florida Supreme Court Certified Family Court Mediator and is often hired by other family law attorneys to assist in resolving their cases. Whether through negotiation and mediation or at trial, Mr. Wald’s goal is to get the best possible result for his client at an affordable cost. Mr. Wald has access to a network of accountants, financial planners, financial analysts, psychologists, therapists, private investigators and other experts as may be necessary. When you hire Mr. Wald, either as a mediator or as litigation/trial counsel, you will have a compassionate, aggressive, knowledgeable and experienced guide through the legal process. Clients can expect personal service in addition to the highest quality legal advice and representation at an affordable price. “I pride myself on being accessible to my clients, responding to their questions and concerns and comforting them throughout the complex, emotional and difficult legal process. After hours and/or weekend appointments are available.